Soon after the House assembled for the day, the AIADMK and the Telugu Desam Party (TDP) members trooped near the Speaker's podium and shouted slogans on their demands. 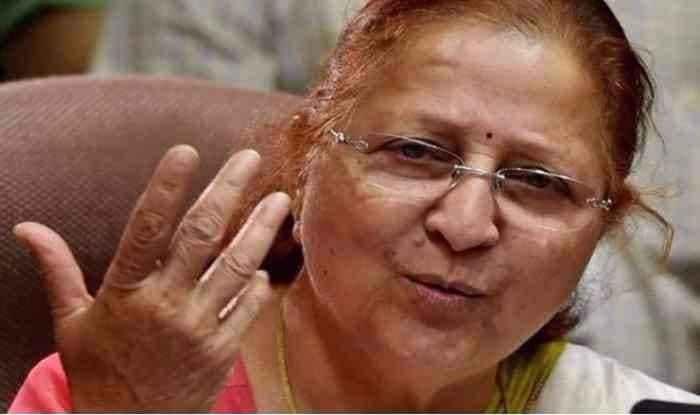 New Delhi: Lok Sabha Speaker Sumitra Mahajan on Thursday suspended Telegu Desam Party (TDP) MPs under rule 374A, news agency ANI reported. Further, the House has been adjourned till 2 PM. Soon after the House assembled for the day, the AIADMK and the Telugu Desam Party (TDP) members trooped near the Speaker’s podium and shouted slogans on their demands. The AIADMK members were demanding the withdrawal of the proposal to construct a dam across the Cauvery river at Mekadatu, while the TDP raised several issues related to their demand for special status for Andhra Pradesh. Amid the din, Speaker Sumitra Mahajan tried to conduct the Question Hour. Some agitating AIADMK members threw some torn papers in the air. Mahajan warned the protesting members not to do so but they did not relent. “This is not fair. You should not be in the well. Please go to your seats otherwise I will name all of you,” Mahajan said. Mahajan tried to conduct the proceedings but the protest continued, forcing her to adjourn the House till 12 PM then.